What makes church ministry ministry? In fact, what makes the church the church? Would you consider this ministry? I do. It’s a way for me to serve and demonstrate love for others in need. God has given me a passion for this cause, mostly because many people in my life—including my mom, brother, cousin and best friend, and the co-leader of my small group—have been or are affected by it. God has also given me a passion for cycling and an ability to ride. The event makes a difference in our community and the lives of many individuals. This morning I was pleasantly surprised when I opened an email from our church’s small groups minister, CJ Stephens, asking small groups to join with others to support riders in the Bike to Beat Cancer! (The event starts and finishes very close to our church campus.) They are asking people to volunteer to cheer on riders and assist at the finish line. I’m telling you; if I make it 100 miles, I’ll be overjoyed to see my fellow church members cheering me on to the finish line! I’m proud of my church, Northeast Christian Church or, what we’re now known as, the #LovetheVille church. This is the church, seeking to reach out to and serve outsiders, not just coddle insiders. This is the church, the body of Christ in action, still making a difference in the world. This is the church, a community of people in communion with God, carrying out his mission in our larger community. This is the church, staying true to declaring the Good News about Jesus and demonstrating his love to the world through our actions. I’d love if more people from Louisville would also volunteer for the event. You can do that HERE. I’d also love it if you’d consider donating to this cause and supporting me on my ride. Go to my page to read more and donate HERE. 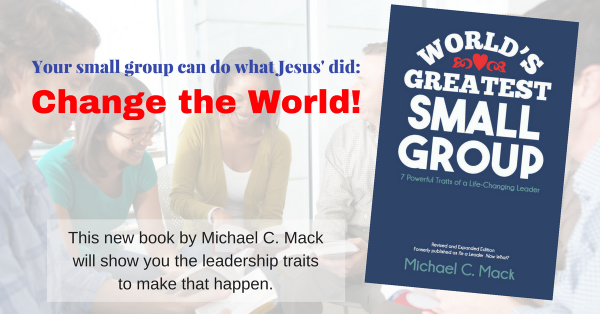 Previous article What is a small group leader?